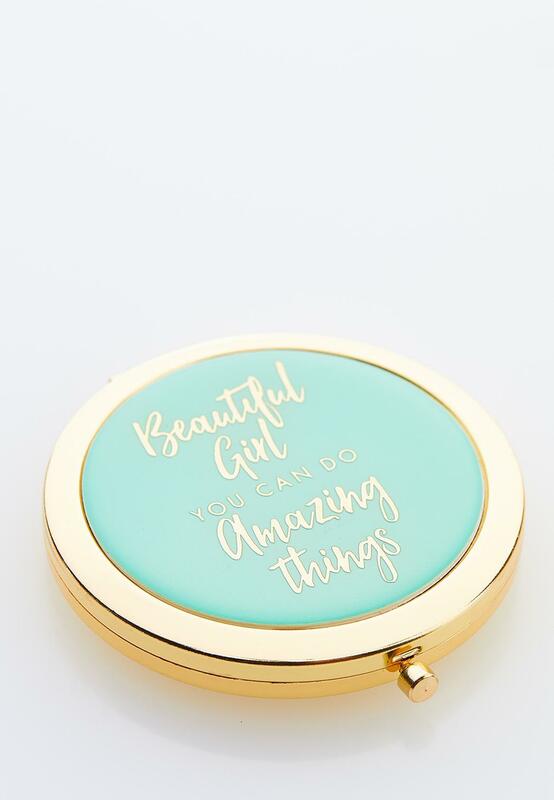 Make everyday count with this round compact mirror, featuring the inspirational phrase "Beautiful girl you can do amazing things." 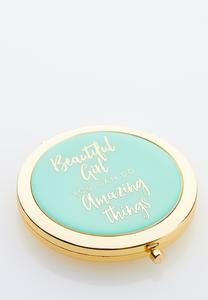 We hope you love what your order from us and want you to be fully satisfied with every item you purchase. 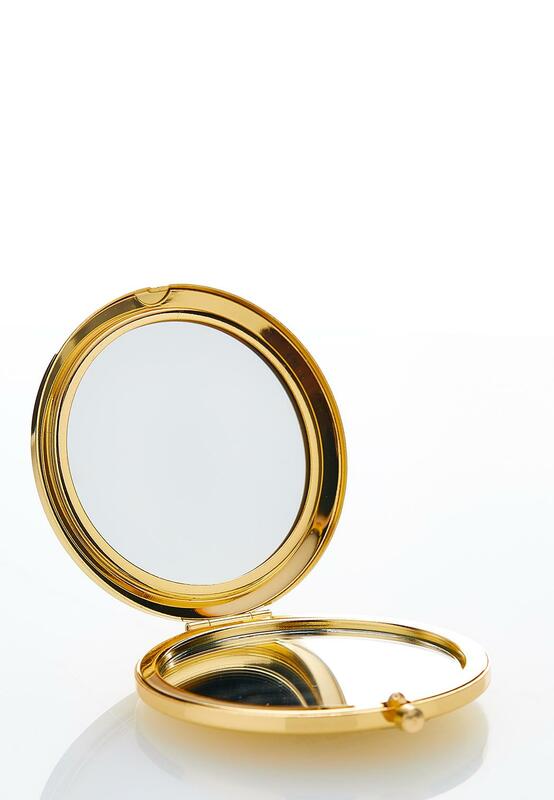 If you are not satisfied, you may return your item(s) for a refund of the purchase price. We will gladly accept returns of online purchases to catofashions.com or you may return online purchases at any one of our Cato store locations and a sales associate will be happy to assist you. With an original receipt (your packing slip/invoice), we will honor a refund in the original form of payment within 60 days of purchase. Items must be unworn and have price tickets attached. Washed or worn merchandise cannot be returned or exchanged unless defective. Items purchased at our retail store locations must be returned to a Cato store. Exchanges cannot be processed by catofashions.com and can only be made, subject to availability, by visiting one of our retail locations or by returning your current item to catofashions.com and reordering the new item of your choice. For more information about returns, click here.